Every year, the Nassau County branch of the Shomrim Society, a fraternal organization for law enforcement officers (police, detectives, correction officers, etc. 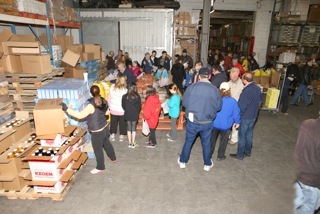 ), runs a huge Passover food event to benefit the clients that the Hatzilu Rescue Organization helps. 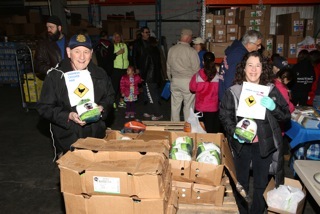 Various food companies from all over the region join together to donate enough food for approximately 80 households, so that they can have Kosher for Passover foods and observe the holiday. Cheryl Garber and Alan Hirsch, chairs of the committee for the Passover event, work for many months before the event preparing. 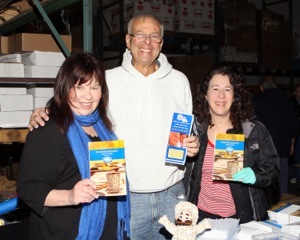 It is a mammoth job to secure a place to hold the event, acquire food donations from various Kosher food companies, develop a list of recipients for the Kosher for Passover food, put together a core of volunteers to work the event, and match volunteers to clients for deliveries. The final week before this event becomes an intense marathon of long days and all-nighters in preparation for the big day. 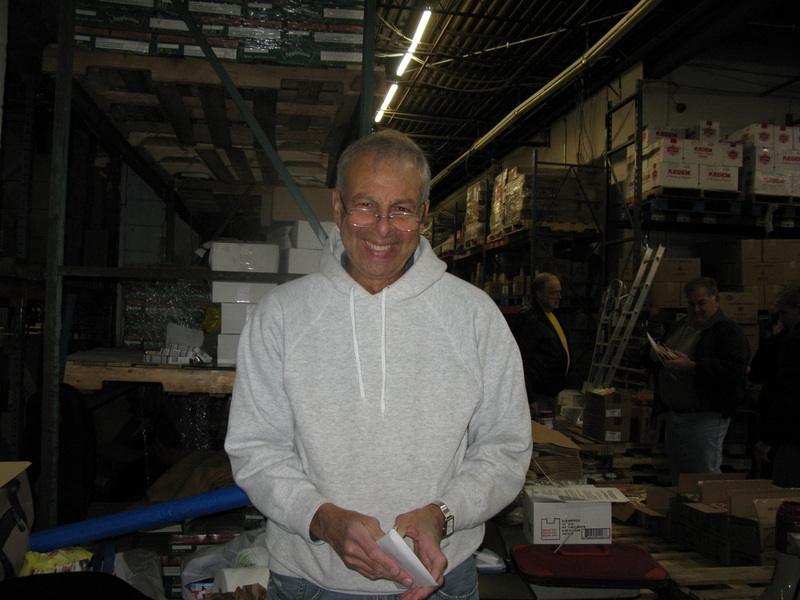 Finally, the big day arrives and volunteers arrive at about 7:00 a.m. to set up all the food, assembly-line fashion, around the perimeters of the large warehouse room. Fresh produce is counted and bagged in advance to make for a smoother and quicker collection. 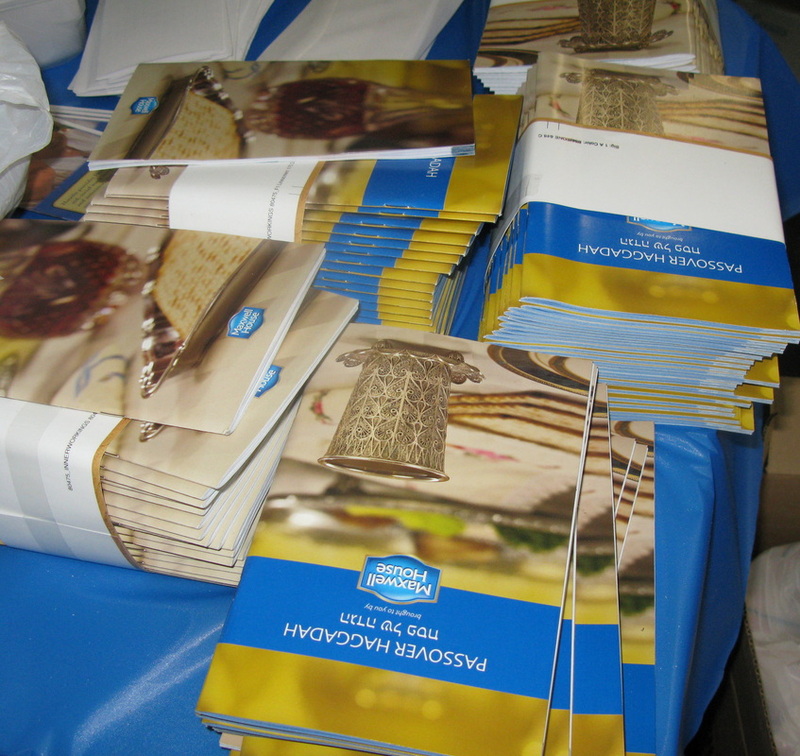 Haggadahs are arranged neatly on a table for the volunteers to collect for their clients. Frozen chickens are bagged too. And the large bags that Trader Joe's donates every year are stacked high and ready for people to use. At 8:30 a.m, the Shomrim Society volunteers, mostly police officers, arrive to start their collection of food. They walk around the room filling Trader Joe bags with the huge assortment of Kosher for Passover food. Each household receives about 5 large bags filled to the brim with food, plus 5 pounds of matzoh, hagaddahs, and a gift certificate for Shoprite to pick up whatever else they need. By 10:00 that core of volunteers are done and leaving and a new group of volunteers from Hatzilu arrive. They collect food until about 11:30 and repeat the exact same process as the Shomrim volunteers. Both Shomrim and Hatzilu volunteers leave with their cars full and then head directly to the homes of the clients to deliver the food to them for the upcoming holiday. All the clients are overjoyed to receive the food. All of the clients receive food assistance all year long from Hatzilu, and are especially appreciative of the Passover food delivery so that they can observe the Passover laws of Kashruth for the eight days of the holiday. Individuals, teenagers, and sometimes whole families all join together in the effort. Everyone leaves knowing that they did a true mitzvah and all have a good time in the process! Special thanks to Gary Shapiro, the president of the Nassau County Shomrim Society, who supports and backs the entire effort all the way! Read more about it in Newsday here. Cheryl Garber, co-chair for the Shomrim Passover Event; Joe Sklar, past Hatzilu president; and Karen Somers, current Hatzilu president. Above you can see the busy scene in preparation for the food collection. 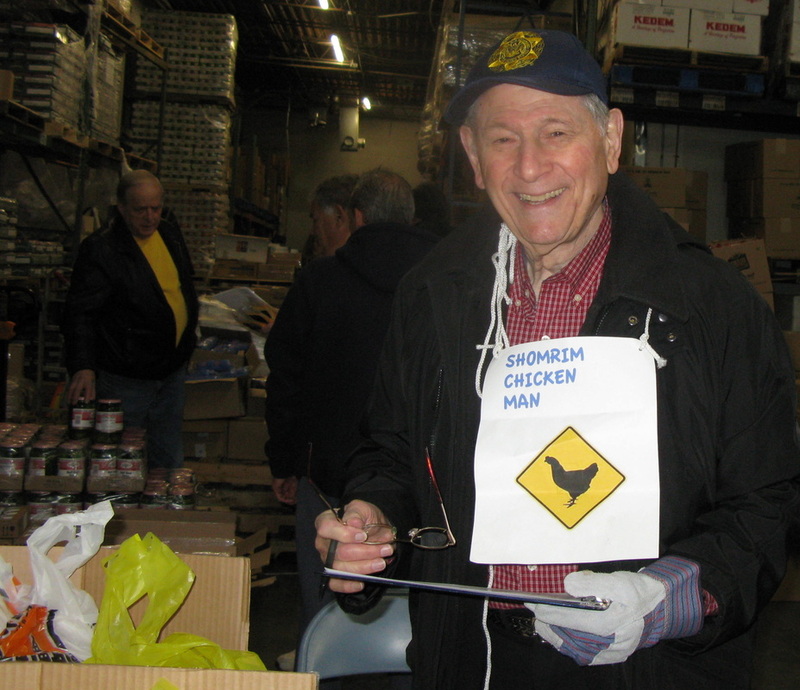 Preparing frozen chickens for distribution can be fun! Volunteers from the Shomrim Society getting things ready for the big day!